Marzetti Frozen Pasta’s precooked frozen pasta is one of Burley Foods’ core products. Offering a variety of both standard and custom pastas, Marzetti Frozen Pasta provides innovative solutions to meet the special needs of customers. Chaucer started decades ago as a small, family run bakery based in Kent, England. The family’s commitment to quality quickly gained them a reputation as a reliable supplier of quality food products. The company now delivers these values on a global scale in both conventional and organic forms. Their products include most freeze dried fruits and vegetables and – true to their roots as a bakery – bread products including soup and salad croutons. Chaucer is also innovating with freeze drying super fruits such as dragon fruit, acai, and pomegranate. Bluegrass Dairy and Food (BDF) is a totally integrated manufacturer of powdered food ingredients, specializing in dairy based and juice products. These ingredients are all on trend for today’s nutritional objectives. They are non-GMO and meet the current clean label requirements. They also offer a legitimate alternative to reduce sugar and fat in recipes without compromising taste, texture or functionality. Silver Spring Foods is primarily known as the #1 producer of prepared horseradish in the United States. But they are continually adding to their products and increasingly called on for their R&D expertise. 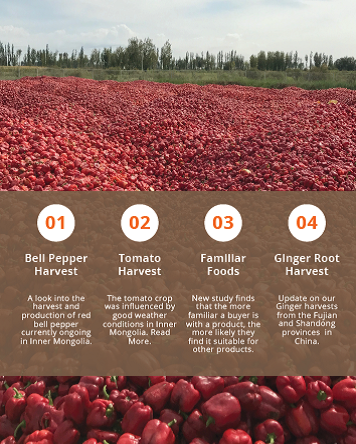 In the fall crop report from Seawind Foods, they look at the current market for bell peppers and tomatoes, make a brief assessment of how familiar foods affect consumer buying behavior, and look at the conditions within various regions of the globe that they utilize as raw material points. Abbiamo Pasta is quickly making a name for itself throughout the food industry by adopting to special customer needs, providing quick turn-around, and supporting these benefits with highly responsive customer service and competitive pricing. While a relatively new company, beginning operations in 2013, the team has decades of R&D and production experience with some of the largest food brands in the world. Chaska, MN based QualiTech is currently celebrating its 50th anniversary, and its partnership with Burley Foods goes back many years, as well. The two companies regularly collaborate to create new finished food products, and develop culinary and technical solutions for unique challenges facing customers. 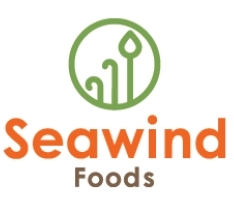 Seawind Foods’ unique ability to provide truly natural True NO SO2™ (no sulfur dioxide) dehydrated fruits and conventional or organic premium vegetables evolved over 50 years. While Seawind is now recognized as one of the leaders in dried fruits and vegetables, it began in 1963 under the name of the Cade Grayson Company. The company prospered and grew into one of the largest US importers and suppliers of dehydrated vegetable ingredients. In 1987, realizing the growing importance of tropical fruits and specialty foods, Seawind International was established as a separate company to better focus on expanding these core products. As demand grew for tropical fruits and vegetables, the company name was updated in 2013 to Seawind Foods to more accurately represent the organization’s core business. True NO SO2™ low-sweet fruit is Seawind’s premium product. They are evangelistic in their desire to educate the market on the fundamental advantages of their true, all-natural dried fruits. These fruits are low sweetened with cane sugar and never contain unnatural sulfites for preservation.